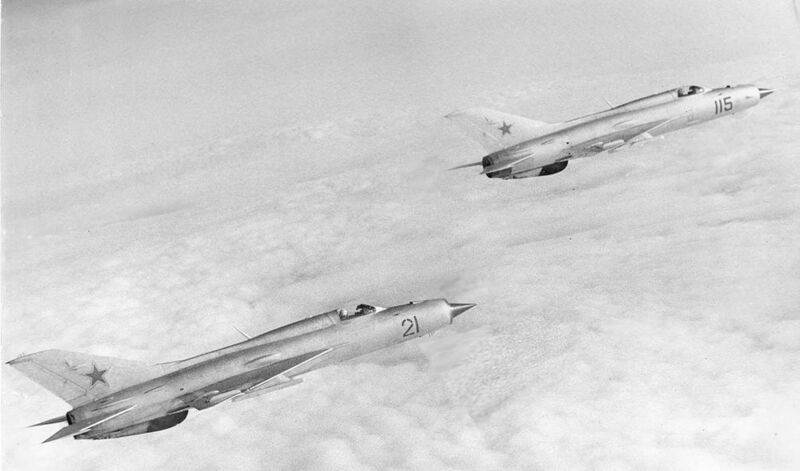 In the seventies the Soviet 17th Tactical Air Army received two regiments of advanced MiG-21SM Fishbed-J and MiG-21bis Fishbed-L tactical fighter types. 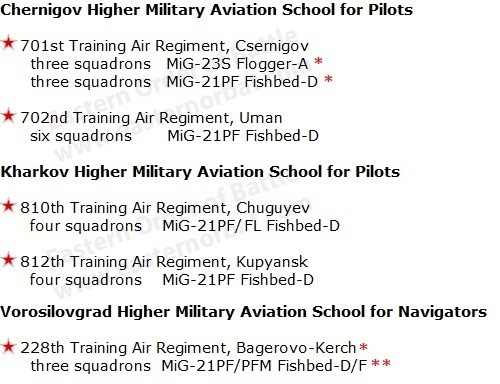 The Kharkov and Chernigov Higher Military Aviation Schools training regiments formed the reserve air force with the MiG-21PF Fishbed-D and MiG-23S Flogger-A types in the late seventies. 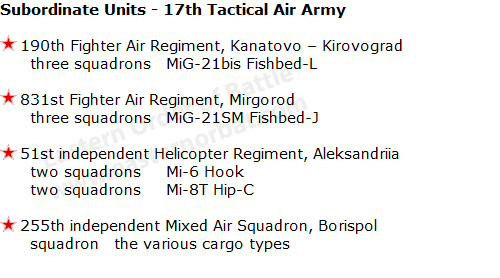 In case of war, these training regiments were subordinated to 17th Tactical Air Army. * The exact number of squadrons is only estimated. 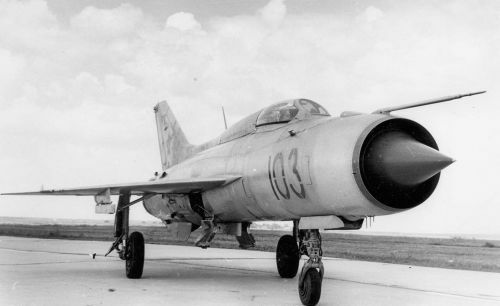 ** The exact sub-variants (MiG-21PF/PFS/PFM) used aren't known. 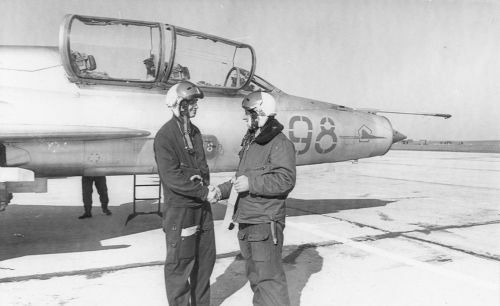 In 1977 the 831st Fighter Air Regiment moved from Borispol airport to Mirgorod Airport. 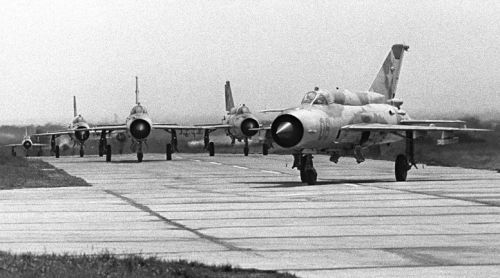 The Chernigov Higher Military Aviation School's 701st Training Air Regiment in 1976 received MiG-23S Flogger-A type from the 979th Fighter Air Regiment. 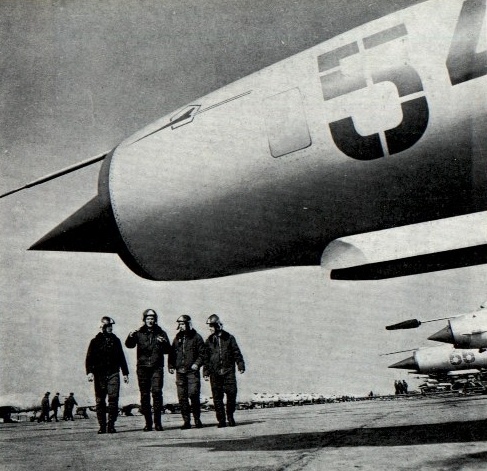 They started the training with these from 1977 when they were moved to the reserve air force. 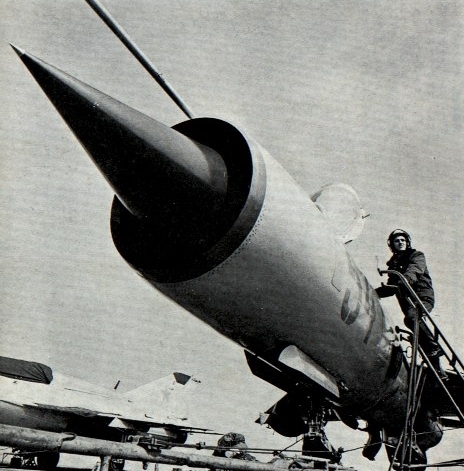 The rest of the squadrons used the MiG-21PF Fishbed-D type. 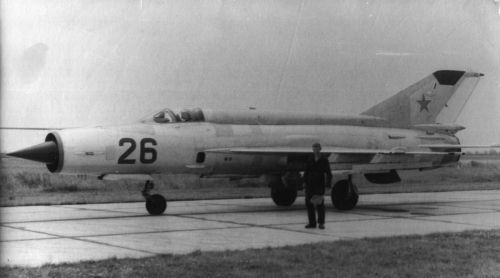 Around 1975 each of the 810th Air Training Regiment's four squadron's also replaced the old MiG-17 Fresco to used MiG-21PF/FL Fishbed-D type.